About 2400 Central American migrants left Mexico City this morning to resume their northward trek toward the United States border. While recent asylum seekers have anticipated that Tijuana is the border city most likely to allow a successful crossing, city officials and residents of that city have become increasingly cold to further migrants. In addition, U.S. authorities in San Diego have begun transporting asylum seekers in their custody back to Tijuana, while their cases are heard. 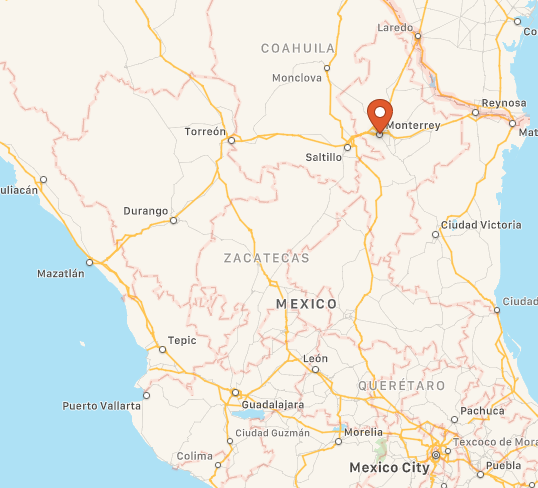 Those may be the reasons that for the first time recently we’re hearing talk of a new destination in Mexico near the U.S. border: Monterrey, in the northeast of the country. Monterrey is a large city not on the border but nearby, about 140 miles from Laredo, Texas. Some migrants believe it now may offer a better opportunity of success. For more, see U.S. News and World Report.